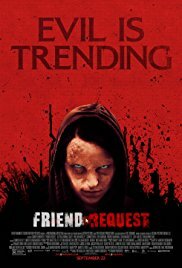 #Horror, Unfriended, The Den, Megan Is Missing Friend Request...In some ways, it's surprising that there aren't MORE social media based slashers. Quick Plot: Laura is a pretty and popular college sophomore with a knack for taking super flattering selfies and doing amazing things with her hair. One day, a new goth student named Marina sends her the titular friend request, following up with a flood of stalkerish messages designed to make even the kindest of cool girls disinvite her newest BFF to her birthday bash. Before you can pick your best Instagram filter, Marina commits grisly suicide live on Facebook (I mean, some fictional social media site that is Facebook). 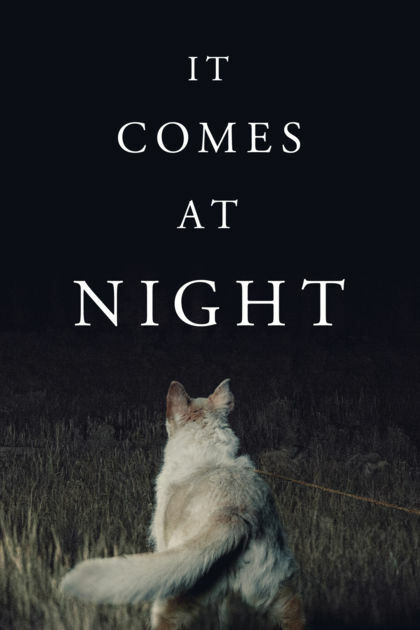 Laura is shaken with guilt, but quickly learns that there's no need to punish herself: Marina is fast at work on that, posting nasty things on Laura's behalf and murdering her real friends in mysteriously wacky ways. 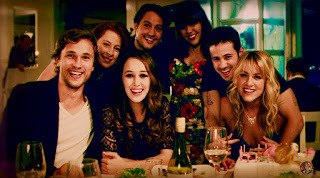 Friend Request got hammered by critics when it premiered last year and while it's littered with stupid character decisions, it's also really not nearly as bad as its reputation and Rotten Tomatoes' score might lead you to believe. Yes, that's slightly disappointing for someone like me. 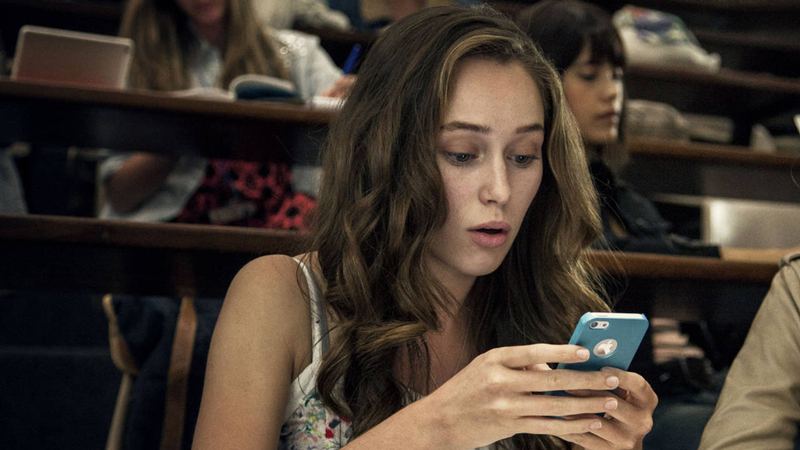 Fear the Walking Dead's Alycia Debnam-Carey is sympathetic enough as Laura, though I may have been seduced by her ability to maintain incredibly hair styling as her life falls apart (this is true in the zombie apocalypse as well). 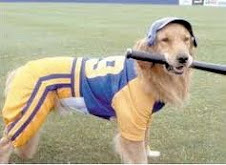 The story even takes some surprising turns involving a should-be victim taking some unexpected agency in his fate. 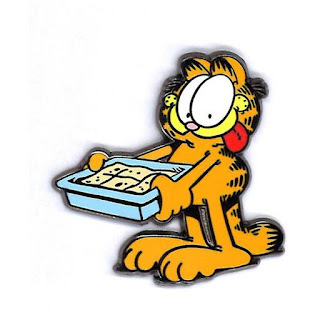 The pluses don't necessarily outweigh the minuses. Marina is a frustratingly bland antagonist with a rushed and trite backstory, and while the young actors playing Laura's pals try to make an impression, the script gives them such minimal material that it's hard to care much about their fates. Still, for a lightweight 90 minute modern slasher, there's fun to be had. Is Friend Request good? Not particularly. Is it entertaining and far better than its dreadful reception might lead you to believe? I thought so. Granted, I have terrible taste. But that's what Netflix Instant was made for. 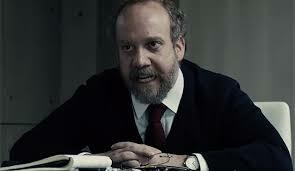 A wildly divisive plague thriller? Quick Plot: A lethal sickness has ravaged the country, leaving the survivors to head to to unoccupied areas and avoid contact with the infected. 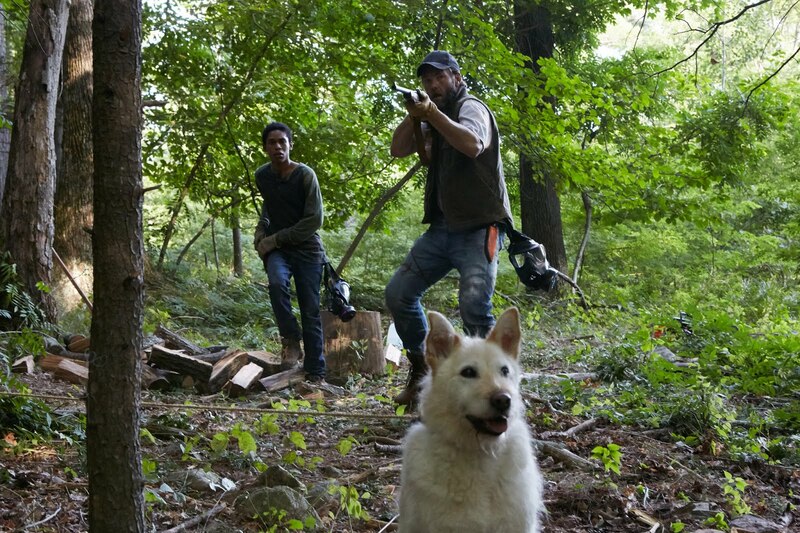 One family, led by Paul (Joel Edgerton) has carved out a safe enough existence in woodsy isolation, at least until one fateful night when a mysterious man named Will tries to break in. Thankfully, Will is simply a fellow family man trying to find water for his own wife and son. With a few chickens and goats to trade, he moves his clan in for a new six-person (plus one dog). Everything is going well enough...until it's not. 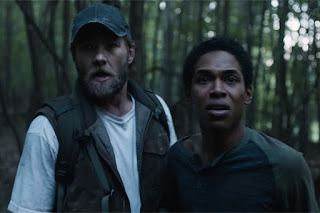 Written and directed by Trey Edward Shults, It Comes At Night had one of those complicated debuts, wowing some festival goers but leaving genre fans disappointed. 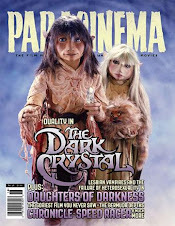 The best way to approach it is to forget its occasional classification in the horror section altogether. 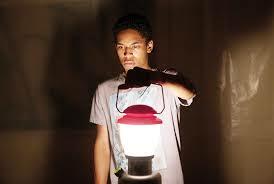 Once you get past the idea that this isn't Carriers or the tragically underseen Dead Within, It Comes At Night can play out as intended: essentially, a play or sorts with a nightmarish sense of foreboding. Yes, there is a plague but no, we as the audience don't get to see much of it or the world it has ravaged. We don't have violent scavengers or the zombie-like infected breaking in. Instead, it's the tale of two families learning to trust and distrust each other. Quietly. So long as you know the type of film you're getting (i.e., a quiet, almost theatrical interpersonal family survival drama), It Comes At Night is a well put together tale. It just might not be what you want out of 100 minutes of life, particularly since it's bound to leave you feeling fairly miserable about life. But you know, miserable in a way that was inspired by quality, if that makes it any better? I'm Doing a Thing! 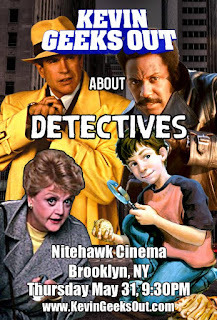 A MURDER, SHE WROTE THING!!! 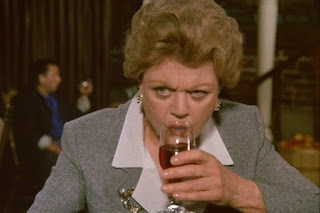 There are few things in this world more perfect than Jessica Fletcher. 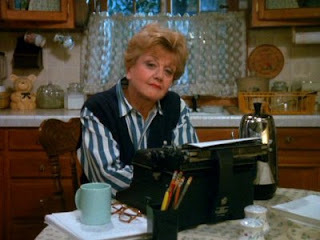 Strike that: there is nothing in this world more perfect than Jessica Fletcher. Obviously, I'll be discussing 12-time Emmy nominated Angela Lansbury's alter ego, the grand dame of Cabot Cove and more importantly, my heart. Get your tickets and be sure to say hi after the show! Morgan was one of those films I like to call "the eternal trailer," a distinction it shares (for me) with the Wolfman remake and Shutter Island. All three, possibly due to adjusted release date, seemed to be included in the previews for just about every film I saw in the theaters in the months (and sometimes years) leading up to their release. 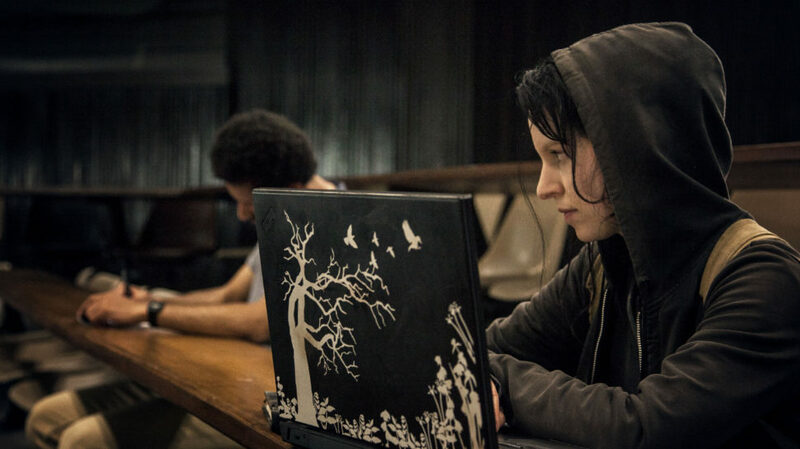 That plus the general apathy that seemed to accompany Morgan put it low on my watch list. Had someone sold it the right way -- i.e., a reimagining of Renny Harlin's Deep Blue Sea -- I may have actually paid for it. Quick Plot That's Essentially Just Deep Blue Sea Without Sharks: In an isolated green forest (replacing the blue sea), a team of pretty good-looking scientists have spent the last five years raising and monitoring Morgan (The VVitch's treasure Anya Taylor-Joy), a genetically modified young woman who is sadly not quite a shark. Stepping in to Stellan Skarsgard's shoes as the most physically abused of the scientists is Jennifer Jason Leigh, who opens the film with her eye gouged out by her charge and is later beaten to death with about the same level of pain as having your arm eaten by a shark, then your body rammed against glass underwater. 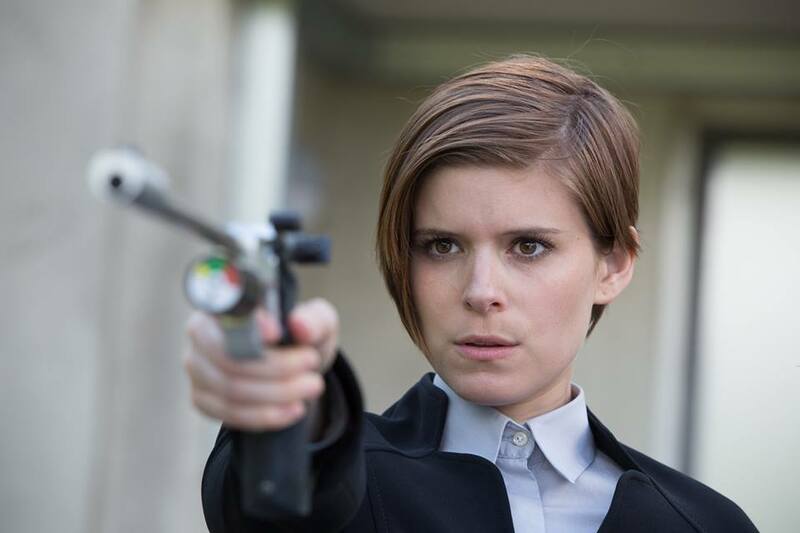 This initial Macbethian incident is what summons Samuel L. Jackson stand-in Kate Mara as Lee, a risk assessment manager brought in to evaluate the Morgan experiment. 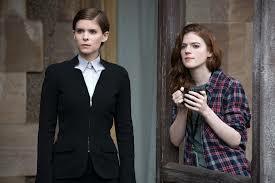 Sporting Saffron Burrows strictly serious haircut, Thomas Jane's combat moves, and Jackson's corporate doubt, Lee regards most of the team suspiciously, particularly the too-soft behaviorist Amy (Ygritte the Wilding, aka Rose Leslie). On the flip side, Lee seems most positive towards Skip, the handsome nutritionalist (aka chef). 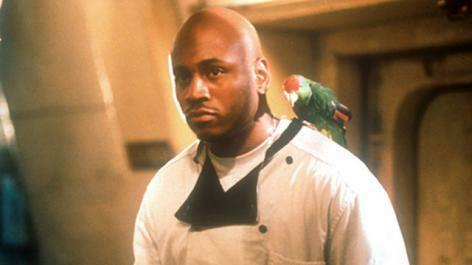 No, he does not have a pet parrot, but SPOILER ALERT yes, he does (almost) make it to the end, so OBVIOUSLY, he is LL Cool J. The poor white man's LL Cool J. 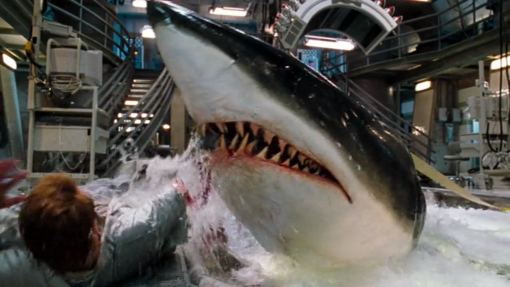 You might think I'm stretching the Deep Blue Sea comparison, but when the REAL Samuel L. Jackson (in the form of Paul Giamatti) strolls in for one scene to be essentially eaten by the super smart, super fast, and super strong Morgan, it's hard NOT to see the parallel. It is very possible that forcing this comparison made the exceedingly mediocre Morgan an exceedingly more interesting film. 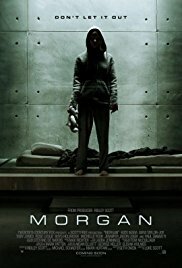 Directed by Luke Scott (son of Ridley), Morgan has a great look and unfairly great cast, most of whom are essentially wasted. The action offers some thrills, especially when the film takes a not-that-surprising turn and delivers entertaining fight scenes. Then again, nothing you see here is that much more exciting than, say, an episode of Agents of SHIELD. 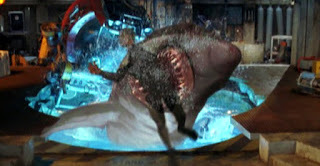 The point is, pretend Morgan the character is a super smart shark and Morgan the movie is okay. Eh, Morgan, in one word, is an "eh" of a review. With its high production values and good action, it's not a waste of 100 minutes, but it's hard to summon much enthusiasm without relying on, you know, Deep Blue Sea. Then you remember that Morgan doesn't end with anyone rapping and everything is terrible once again.